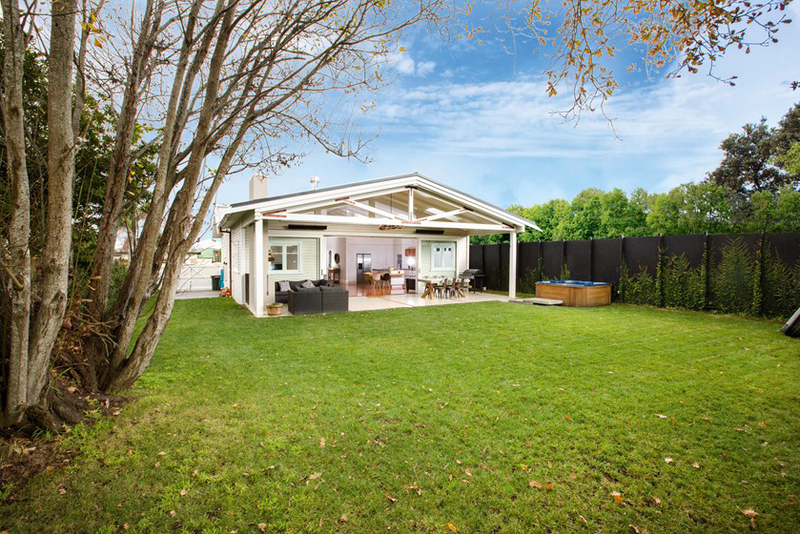 A run-down two-bedroom bungalow in One Tree Hill has been given an all-expenses-paid trip to the present day. 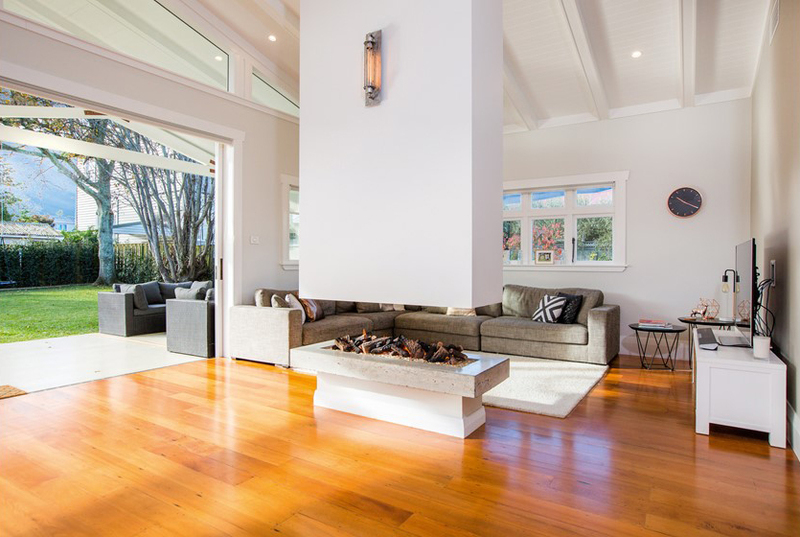 The extensive renovation has transformed the home into a modern light-filled marvel with four bedrooms, two bathrooms, internal-access garage and superb flow to a secluded backyard. Stepping into the open plan, the eye is immediately drawn to the feature fireplace that appears suspended in mid-air. The kitchen is another uniquely designed offering, with everything the family needs for daily living and entertaining. It’s a truly personalised space, with concrete benchtops, a recycled rimu rangehood and cantilevered dining table (made from demolition framing) – all crafted by the builder. The living domain flows seamlessly to the covered outdoor area and wood fire. 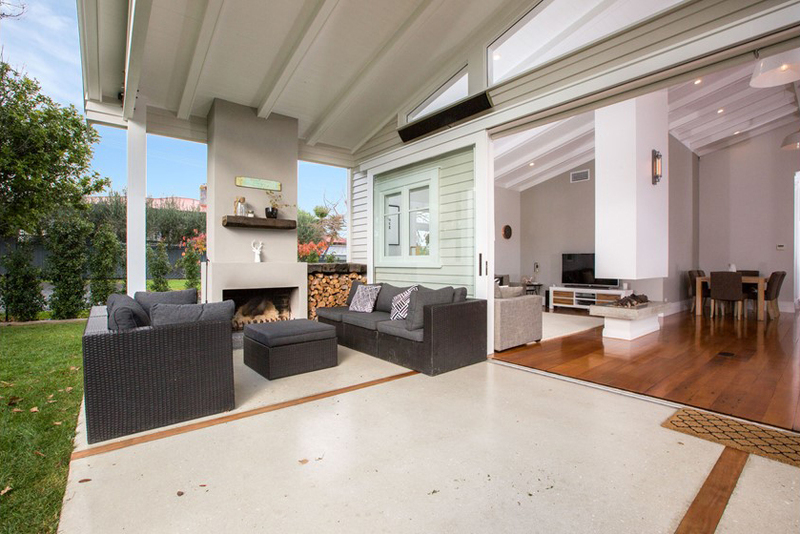 This space mirrors the interior open-plan layout and, with a refreshed backyard, the sense of flow is enhanced. The brand-new bathroom features an oversize shower and vanity tops crafted from recycled materials.